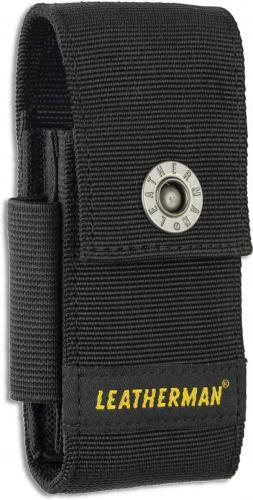 The 934933 Leatherman Nylon Sheath with Pockets is a replacement or spare sheath that fits Leatherman SuperTool, Surge and Signal Tools, or similar tools that measure 4.75 inches closed. Features durable black ballistic nylon and elastic construction with reinforced stitching, high grade metal rivet snap closure, and Leatherman logo. The Leatherman Nylon Sheath with Pockets has a compartment for the multi tool with a rear pocket for bit kit storage, and 2 side pockets for small round accessories. The large sized sheath has inner dimensions of 4.75 inches by 1.5 inches by .8 inch. Made in China. 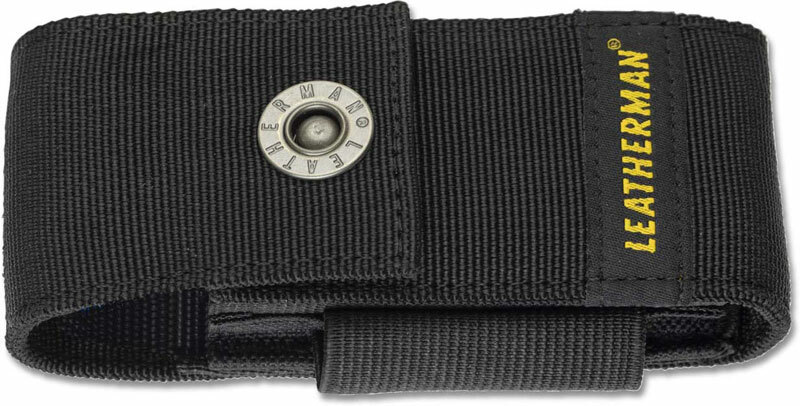 From Leatherman: The extra pockets in this Nylon Sheath were crafted to carry a Bit Kit, Bit Extender, and small flashlight or marker style pen. Overall fit may vary depending on accessories carried.